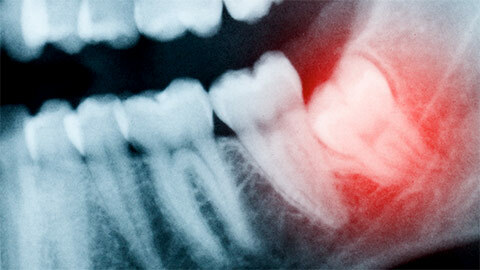 Wisdom teeth are the last of our adult teeth to develop, but things don't always go as planned when they begin to grow. They can become impacted, or they can be out of alignment with your other teeth. In both cases the wisdom teeth can cause damage to your jaw and your other teeth and they'll need to be removed. Wisdom teeth can start developing as early as 9 years old and a Panorex X-Ray should be taken by age 15 to assess their development. 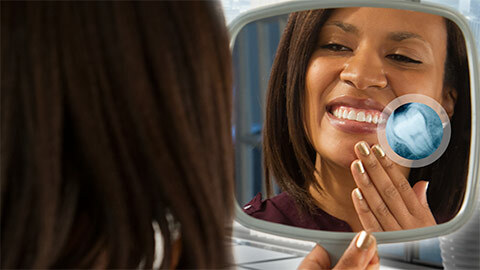 Once the teeth begin growing, we will examine your teeth and jaw to ensure the wisdom teeth are in proper alignment. If they aren't, we usually recommend extracting one, several, or all of your wisdom teeth. Extraction is a surgical procedure done under a local anesthetic. Oral sedation is also available for additional pain and anxiety management during the procedure. If you'd like to learn more about the development of your wisdom teeth, book an appointment with us today for an examination.